Based under Byker Bridge, the Ouseburn Farm in Newcastle is a rustic green oasis in the heart of the city. Sadly, the popular farm may face closure after a key backer was forced to withdraw support, leaving a significant funding shortfall. Established as a charity in 1973, the farm is owned by Newcastle City Council, though for the last eight years Tyne Housing Association (THA) have paid £100,00 towards annual running costs. Cuts in funding mean the housing provider can no longer support the farm beyond April 2017. The free-to-enter farm is a much-loved feature of the Ouseburn townscape and is home to cows, pigs, sheep, goats and ducks. It gives an opportunity for city people to get close to farm animals and provides farm-based and environmental education for over 4,000 school children and students in term-time. Workshops teach agricultural, horticultural and environmental skills to vulnerable adults and members of the public and are provided by a staff of six full-time and two part-time employees supported by up to 20 volunteers. Closure of the farm would be a major loss to Ouseburn but things are looking hopeful, as the charity is making steps towards becoming financially self-sustaining. The Board of the Tyne Housing Association has transferred a carpentry workshop and two furniture shops in Wilfred Street, Byker to the farm charity to help generate the much-needed funds. 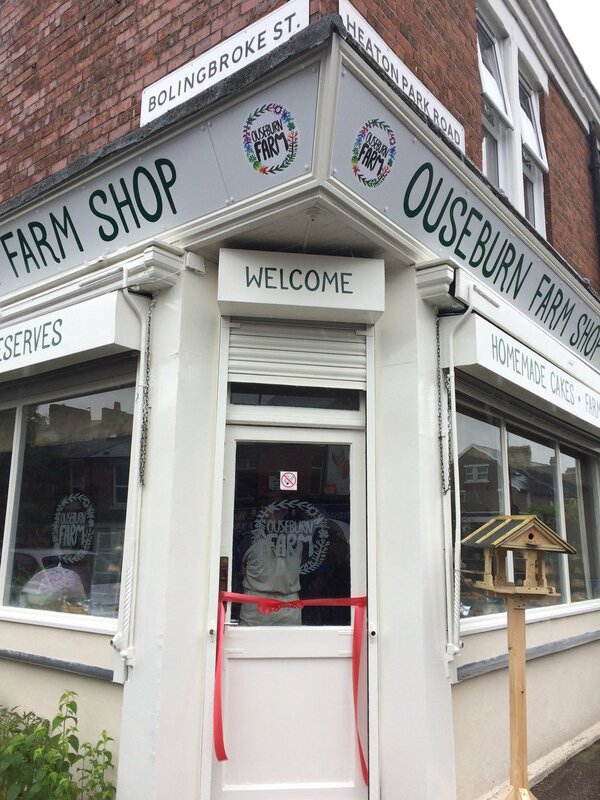 Further funds come from Ouseburn Farm Shop on Heaton Park Road which opened its doors at the end of June. The shop sells upcycled furniture that has been restored and recycled at the Wilfred Street workshop which in turn reduces a cost to the environment by helping reduce landfill waste. The farm itself in Ouseburn Valley also generates income from its newly refurbished coffee shop and educational classrooms. Workshops are available which aim to teach school children, students, vulnerable adults, volunteers and members of the public about agricultural, horticultural and environmental projects. “We’d like to give a massive thank you to Tyne Housing Association who have funded the farm for the last eight years and we remain positive that the farm, treasured by all the community – near and far – will get backing in the near future. “The Council has had a long involvement with the farm and was instrumental in saving it ten years ago when it was discovered that the old City Farm was situated on land that was heavily contaminated from its historic use as the site of an iron works. “Because it was recognised as an important and much-loved attraction in Ouseburn, which also had great potential, in 2006 the Council oversaw a major project to clear the contamination and replace the old buildings with a new environmentally friendly building. “An innovative agreement with Tyne Housing Association for them to take over and develop the Farm has been very successful and I am very keen to see the Farm’s future secured. Both the Council and Tyne Housing face serious financial pressures in a time of austerity and so it is essential to find an alternative external funding source so the Farm can continue its excellent work with schools, volunteers and vulnerable adults. 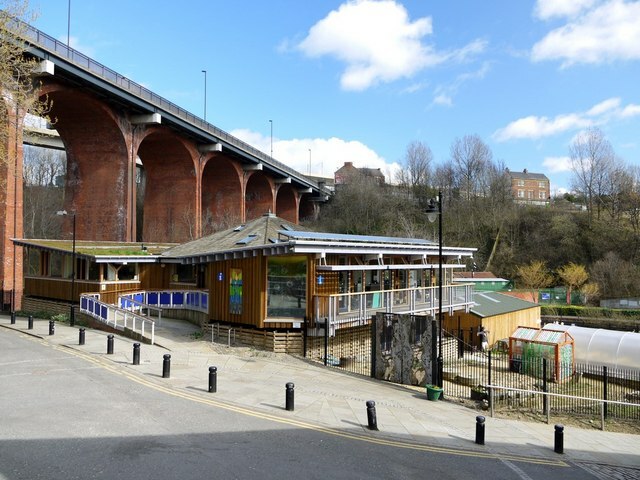 “It is one of the key visitor attractions within the Ouseburn Valley alongside Seven Stories, the Victoria Tunnel and the various galleries, pubs and cafes and is integral to the emergence of the Valley as a unique and vibrant area of the city.